Governors’ term of office is four years, other than the staff governor that is two years. The Governors stand on one of two committees, Resources or Education and Development. These committees and the full governing body each meet three times an academic year, unless required more often. The Governing Body of Beech Green is encouraged to be part of the school community and all have an open invitation to join us for school events. Governors make regular visits into school and feedback their findings to the whole governing body at full governing body meetings. Whilst the responsibility of the day to day management of the school is delegated to the Headteacher, the Governing Body plays a vital role in acting collectively as a “Critical Friend” by supporting but also challenging the effectiveness of the school. 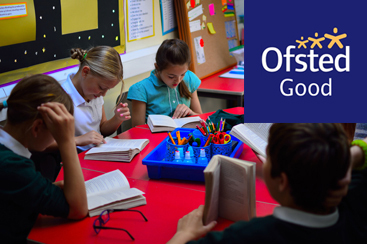 Find out more about becoming a school governor. Governors who left the governing body during the last academic year 2017-2018: Mrs Hayley Earl and Mrs Sharon Weeks Acting Co-Headteachers (2017-2018) - reverted to their roles as Deputy Headteachers, Mr Christian Hickman (2017-2018). Governors who left the governing body during this academic year 2018-2019: Mrs Kendra O'Neill (2018-2019), Mrs Natasha Hannaway (2018-2019), Mrs Esther Parker (2018-2019).